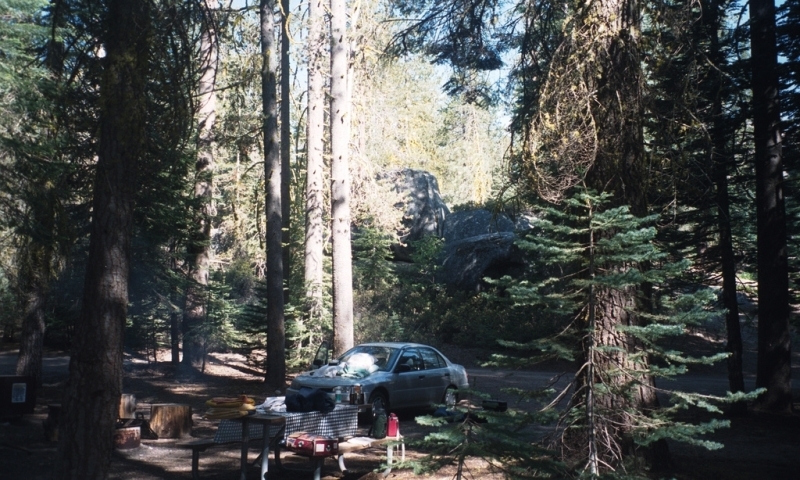 Tamarack Flat Campground offers the visitor a great place to camp when coming to Yosemite National Park, with fine amenities, lovely views, hiking trails and a nearby stream. FIRST COME, FIRST SERVED. Getting to Tamarack Flat Campground Yosemite requires a trip down a 3-mile unpaved road, but the effort is worth it – no crowds and nature right up close and personal. There are numerous hiking trails for long or shorter treks, and a beautiful stream close by where you can dip your feet. Each site provides a fire pit and picnic table. You won’t find potable water here, so bring your own or treat the stream water with a filter, iodine or by boiling it. Get to Tamarack Flat Yosemite by taking Highway 140 to Big Oak Flat Road. Turn left here and drive 9 ½ miles to Tioga Road, turning right and going east to the access road to the campgrounds. Tamarack Flat camping is first-come, first-served. Is there a dump station? Closest one is in Yosemite Valley at the Upper Pines Campground. Yosemite Tamarack Flat Campground is not far from Yosemite Valley, with many points of interest. However, you’ll find plenty to do right close by. You’ll find hiking in this area a popular pastime. You can follow a trail right down beside the stream to a small waterfall. If you want more challenging hiking, you can take the Tamarack Flat Trail to El Capitan. This is a 17-mile trek out and back, and will take you the better part of a day. Hiking to Cascade Creek is shorter, only 4.4 miles. Not far away is a stand of Giant Sequoias, a wonderful place to visit! This grove contains one huge tree that you can walk through. Merced Grove is also fairly close to the campground, and you can enjoy more of these magnificent Giant Sequoias.